Is government the problem or is it the governance? Has the corporate kleptocracy taken our knowledge basis away to make it pay to play? Is the problem just the people in charge, or is the form of hierarchy self-serving and biased toward ‘educated professionals’? Does advertising persuade people to adapt their point of view, or is it market manipulation in a finer form? Why have we given lawyers, commercial codes and maritime law precedence over common law, the constitution, honesty and truth? What is a country? Is it the same as an overlay? How much are we bound to based on geography? How many jurisdictions are simultaneously in play? Why are laws and service contracts created in secret, with fine print, binding by a checkbox on a website, and not a notarized signature? How is the legal system actually legal? There is something going on with the rampant insanity associated with the basic intolerance of the two extremes for each other’s perspective. Most folks have detached from physical reality. I do not wish to dwell on injustice, we see it all the time from every individual perspective. I wish to stop injustice! My intention is to return to the positive. By what criteria must negativity govern? Let’s all be for stuff instead of against it. I am for clean water and clean air. I withdraw my consent from those who govern who allow industrial pollution, including geo-engineered spraying of toxic chemicals and municipal sewage plants. I am Sui Juris and nobody may represent me without my direct consent. I am, without obligation to the strawman that has accrued credit and debit in my name. How much of our current information is based on faulty belief? Do people really believe the script provided to us is binding? We are each in our own movie, on an individual timeline, in a little compartment build for us by the matrix of our own perception. Can we withdraw consent to be governed by anyone other than self? Do I get to set the global rules? The game of Existence is a system to reset the structure of the world, based on a multi-level role play game where players represent themselves in different character and alignment. The game structure is totally personal at one end and universal at the other. The rules morph as the game goes along, such that different levels have different goals and hence different rules. The rules are made to be broken, with everyone involved gaining experience, because it is the experience of adapting to new rules that keeps the endeavor going forward. The rules cannot be cumbersome, but a violation of the rules will immediately crash the game. The players involved then step out of character and fix the rule to be appropriate to the situation to get the work done. The temporary rule applies until the game is retroactively scored, with players involved receiving immediate promotions in the current game, as a reward for instigating the need to change the rules. Each game level has its own purpose. The entire game is a training in creative thought as applied to a sustainable Gaia – a living planet. Players participate in events, events are scored through a sacred geometric 8×8 grid and rewards are given through the documentation of hours spent on task, with multipliers based on group theory. The premise is that since chemistry and sociology are parallel hard and soft sciences, the underlying mathematics of each topic are the same, as fractals of each other. Thus, the rules of chemistry apply to social strata, and can be applied successfully thru permaculture. Each level of Existence has its own purpose. The tier of play depends on the character abilities. The goals are personal. The game goal is to have the collective aligned with the individual to provide truth, justice and show the weigh. By weigh, I mean to measure everything, and develop the criteria for measurement, through individual and collective guilds that pay attention to the order of things. Creating protocols of action that work. The levels of the game depend on the individual perspective. You are either a sovereign in charge of our own time and effort, or you are a student apprentice, learning a skill from a sovereign master. In fact, you are always both, with life experience providing the criteria for your starting position. You begin in a virtual community, in a guild based on earth, air, fire or water. The game plays as a 48 hour intensive where you participate in projects developed by working guilds. These projects are things like cooking a pro-biotic meal or assembling a composting toilet or anything that might be necessary to build a functional community using a resource based economy, beginning from scratch on 40 acres of prime rural real estate. We put you up in a tiny house at our bud and breakfast. The cost is what you would expect for a weekend getaway – if you come play here. In reality, there can be a virtual game taking place anywhere, as long as the events are scored through a set of measurements that are established by the guilds doing the work. Okay – I got too complicated, too quickly. Go visit here for the newsletter version of results from the first iteration of the game. This current version is the 4th attempt at pulling the game off. If you are interested in playing, lemme know and i’ll let lemme know. Somewhere, I lost myself in the midst of the society. I found myself following others to achieve their goals, without even thinking about the goals i had set for me. We get entrained with our behaviors and controlled by our demons, the ones that tell us we need more. More of what? In listening to the outdoors, i have pulled myself away from the wants of the tribe. I have isolated myself into my own little sphere, a bubble of reality that fixes everything just the weigh i want it to be. I measure this and watch that and see if i can predict the changes that happen in my vision path. Being out (howdt)in nature allows me a different context than being in close proximity to other humans. Our consciousness is not human. We think we are human because we are taught that we are individual persons, and the basis set of all knowledge as presented catches us up to what humans ought to be. How that was defined in the past is now lost to us – we are characatures of characters in a movie scripted to govern our actions. Just like the Truman show. The camera is always on and the records of the day are Akashic. Size and scale are presented to us as fixed, when in reality they are fractals and we can never tell the size and scale that we actually fit into. Our minds are set to the options presented to us by our schooling – and are about as far from observable reality as we can get. The options changed drastically with the innovation of mass media. As we question the lame stream news reporting, we begin to discover individual variation in our observations on life. We are not bound to the things that we see – the range of absorption of information is from five senses, not just one. When four scream loudly that the other is false, perhaps we should pay attention. Life has been photoshopped for our ‘benefit’ by hollywood. From Donna Reed to the Brady Bunch, via Gilligan and Spock, we in our late 50’s have been taught to see through the eyes of fictional characters in a fictional world. The whirled is spinning too fast and we all might fly off – except that the world may be flat. Check your senses. If we know the media lies, and we know that the governance form is breaking down, then how many other missed realities underlie the lies that we get from the commons. People have become a herd, flowing into a common sense that has no bearing on the individual at all. If you know what you know, then as long as your premises are good, your should be good to go. Check your premises, what do you assume? The commons include language systems that coordinate our thinking into translatable form. I know what i know because the basis set of what i was taught, by my parents, then in school, was the common basis for all thought in the world that i was presented. I got A’s in school, which meant that i could repeat back the information on demand. I was taught to question everything – so i became a scientist. Back in the day scientists were respected for what they understood, before the abstract began sub-dividing the knowledge fields into compartments. By getting deeper into a field, the breadth of the field was narrowed. The cardinal observations at the forefront of modern knowledge are changed one funeral at a time. When a scientist passes with his dogma, the next proposal can fill the void. I have watched eight of the ten volumes of PBS’s Einstein propaganda. I honor Uncle Albert by disagreeing with his beliefs – after all he said that ‘imagination is more important than knowledge’. The concepts of time and space as thought experiments led me to believe in my own conception of reality – little did i realize that i had left the common thread behind. Have you ever looked into a kitten’s eyes and known that they know everything that you thought you knew? We have the telepathic ability to communicate with our pets – familiars in the language of fantasy fiction. The different species of animal each control their own streams of thought – and the smaller scale the animal plays on, the more knowledge becomes important to maintaining their life. All life is dependent upon water. Water is the true seat of intelligence and there is more water, by the molecule than any substance by far. Chemistry is a mystery to most people, because it was introduced in a way to make it confusing. The amount that you have to know to understand has been complicated by the term understand. You do not have to stand under anything. We are allowed to have individual beliefs that are not common – the trick is to make them real and not delusional. We all live in our own delusion, on our own timeline, in our own private world. Our animals show no pretense, they know exactly who they are. The dogs will attempt to appease us, by predicting our behavior and being johnny on the spot with knowing how we should go – even to the point of leading without the follower. Iz thinks she knows where i am going, but my tasks are not kin to her knowledge base. The kitties on the other hand do not care about my tasks, they sense my feelings. They get wound up in my moods and tether closer the more my wavelengths emit excitation. The purr therapy is different from each of them, yet one is always there to sense that my sense is tingled. Of course, they always want food. Kitties need more food than cats to support the growth function. Also, good, clean structured water. The water is common to all life. By structuring the form of water, we can make it available for integral biological use. There are many forms of water because water serves as the universal solvent – it is part and parcel to everything that goes on in all aspects of life. Schauberger developed a natural philosophy of water in the middle of the last century. Too many scientists of that era have had their common knowledge removed from the commons, by the powers that profit from our being. Why do we believe that school taught us truthfully while the media lies? What if school lied too? What if counting is not as simple as one two three four five and if geometry as taught is not sacred? Suppose that they preempted the script and led us on a wild goose chase, by returning Back to the Future, when time has no real direction at all? Time is an illusion and Einstein’s space/time is an artificial limit to reality. What is reality? Do you have to be in control of your own reality? If you are not in control, who is? Do you have a handler? Where is the film crew? How many nanobots can dance on the head of a pin? What if it is a bowling pin? Is life as absurd as presented, or is there something real about disbelieving all belief? Can we go back to our first premises? Listening to David Icke and typing away on the computer, when the computer froze and locked down. I know that I am a targeted Individual, but i didn’t realize the depth that they will attempt to go to preserve the matrix of artificial reality. The concept of time travel makes sense to a Thyme traveller and so i felt the need to pursure the topic deeper. Day one of a new game, with new rules and new goals. The project of the past ten years has now been accomplish, Existence exists. The game is a multi-dimensional eight level system to create an education system based on natural resources. The current construct is deceit – David Icke (link) has connected enough dots to prove to me that George Orwell had to be a time traveler. To comprehend reality, one needs to step out of the immersion perspective and become the outside observer. The internal perspective of each individual requires a first person perspective. You have to think about self-preservation, because if you stop looking after yourself, you give tacit permission to others to not look after you either. We have been brainwashed by ourselves, to believe what we are taught. We know what we know because we understood the perceptions as children, and we believe the explanations that fit context to what we already understood. We cannot stand under this knowledge any longer. We know that myth has been inserted into truth. Iff, which means if and only if, iff the deep state hides technology for 30 years before it introduces things to the public, then the release of photoshop in 1990 portends that they had the ability to morph public reality in 1960 – and provide us with memes for every individual belief system that would fit into common knowledge. Let’s say that Dwight Eisenhower announced photoshop to the public in his 1958 speech. And the next line was frozen in mid sentence and no trick could enable the screen to function. I killed the power and walked away – for several hours, but now, like Chucky, I’m baack. From the you-tube comment page. If, and only if, the deep state technology is introduced to the public 30 years or so after it was developed, and photoshop was introduced in 1990, then mebbe Eisenhower’s 1958 speech begat the photoshopping of modern history and nothing from the 1960s ever really happened. The beatles told us nothing is real, so there’s nothing to get hung about. If knowledge comes from television, and television was coming to every american living room, then we grew up believing life from the viewpoint of donna reed and the brady bunch. Choice du jure in belief is flintstones (armageddon) or jetsons (space age). What if the televised 1960s never happened. Kennedy was not shot in 1963, no moon landing, no vietnam war. Yet we all know some vets who were in the war and it was real to each of them. No Woodstock? The holodeck on the Enterprise in the next generation could make a new reality. What about time travel? What did H.G.Wells and Jules Verne know, that their fiction was so close to real. We talk Orwell and Huxley, the third of that unit is Kafka. Belief is in the mind of the beholder. Thank you david for allowing me to ramble and connect more dots. I have a story for you, published later today at thymehowdt.com. So even here, the copying was difficult because ewetoob didnt wish to allow access to the comments – requiring refresh. Perserverence is always a good trait for a game character. We all get to play ourselves in the giant movie – reality vs belief and guess what – you get to believe in any reality that you wish too. Of course Darwin’s Survival of the Fittest holds and you really wouldn’t wish to win a Darwin Award. The goal of the next game is Isaac Asimov’s Foundation series. Asimov wrote more non-fiction science than science fiction and the explanations were clear and lucid. And likely, the non-fiction was more false than the fiction in the merit of the content in modern day context. Yer by believing the myth, hook, line and sinker, I became a tool of the system. I am glad I am awake. Come back and discuss chemystery with me at any thyme. I once had a blog character named Hari – find the weigh back machine. Cartoon physics rules, let Sherman be your guide. Peabody. I challenge you in front of all people to show how much you really care for us. After paying for my bond, continuously, for the last 120 months I have defaulted for the last 3. Because of this Nedbank have set a motion and a summary judgement to auction our eco school, which I have been building for the last 9.5 years. You have given me no choice but to open a can of worms thats very nasty and totally unfair. It is called Securitisation. The bank makes money out of thin air using our original loan agreements with our wet ink signature by selling them to a Special Service Vehicle (SPV). The banks actually sell our loan agreements to get money in fast & right away! … whilst making us pay for them at triple rate for 25 years. The bank no longer holds the original agreement and acts as an administrator between an investor and home / car owners. Thus Nedbank can not legally sue me. I have proof of this from multiple sources including my loan agreement which has a securitisation bar code sticker on it. My agreement has been sold and it has taken Nedbank 4 years to find it, when I asked for it back in 2011. Since we have been Off the Gold standard we , the people, are the collateral, so reserve bank and IMF can raise money out of thin air using our birth records and enslave us into forever debt. So whilst the bank wants to auction off our eco academy I am doing everything I can so we can open our doors with our First Eco Building Workshop this October. But I know in court I will eventually loose because you have all the money, all the guns and you own all the courts. You own the entire system. Hence you claim to be our greenest bank supporting the best of the eco cause, here is a headline that will send some truthful ripples very soon. Which way would you like it to go….? WHAT I REQUIRE FROM YOU is to let go of the monthly bond so I can run this school properly and educate our children on how to live in harmony with nature and each other. It would be really great if “our greenest bank” actually invested into the greenest school, in Johannesburg, as a socially responsible project. I am prepared to fight until the end as this injustice is crippling our humanity. You are making money out of nothing and making the people pay it off with interest !!! Whilst you invest our money into nuclear power and war and what ever else brings the biggest profits. New apprentices should never work alone. People only hear half of what you say, so you have to say what you need to get across multiple times. Defining roles helps people act in character as opposed to acting in person. You are playing yourself in a movie role, act the part. Safety is a first person singular priority. Never refuse help. Never offer help unless you can provide it. Hierarchy in decision making can be superseded by the person doing the work. However, changes in protocol should be reported as accurately as possible, including an explanation for the changes. The scribe guild is responsible for documentation. If you are asked a direct question, please give a direct answer. Never refuse a gift. Never offer something as a gift that you wish to keep for yourself. Always respond to kindness with kindness and good manners. Please and thank you go a long way. Especially appreciate people who assist you when they do not have to, they made a conscious decision in your behalf. Also, pick up people who get down on themselves, they need a kind word. Appreciate things with an attitude of gratitude. Your amplitude is determined by your attitude crossed with your altitude. Teach active listening and differentiate that nodding and saying yes is simply following along and tracking – not agreement. Trust your judgment until you measure performance, then trust your measurements. Always create a flow chart for each project – especially when apprentices are involved. The names of the quarks are top and bottom, up and down, charmed and strange. The first approach is either charmed or strange. The second is the opposite of the first. We get to see the best and the worst the first two times out. If strange comes first, repeat the process to get charmed. If charmed comes first, expect differences and note the causal relationships. The third time going through a process is when you really see if you know what you are doing. By the fifth repetition, you can write the protocol for others to repeat because you have seen all the parameters required for tracking in action. Take the lessons learned in one guild and translate them into general lessons for all guilds. The key is to enable innovation, to step beyond protocols by learning the lesson and taking to the knowledge back to others. Modern science obscures lessons by 1) only publishing ‘successes’ and never publicizing failures, 2) rewarding first handsomely and correct, not-at-all, 3) keeping the knowledge base static, via gate-keepers. The foundations that we set today are set in stone once the ideas are developed, extended and built upon. We wish to be sure that what we say is true to the extent of our current knowledge, and then beyond. The tools that we need are located in places that are placed off limits to truth seekers. Control is more important than truth in their whirled. Always maintain self-control, especially in public encounters. As universities fail, we will collect lots of equipment. It will require repair to make it useful. You are sui juris – the only person capable of being you. You do not have to represent yourself to be who you are. When you carry a personal stable of ethics and morals higher than the standard and you are able to slice through red tape. Know that ‘I am what I am‘. When you believe that you can do anything, you can do anything. Switch positions between the apprentice and the master and see that the tasks make sense from the opposite perspectives. Identify the caveats early and try to avoid changes that make prior work useless. Identify the tools required and materials on hand before starting any project. Stock on hand needs to be replaced as part of the project. Who gets to determine value? What if there is no agreement on value? One party leaves feeling cheated. Up front – work for 1) Room & Board 2) Pay. No work required for space rental, but why rent space? When a single individual feels slighted, it is worth polling the group as to whether group consensus has been violated. Engineers cannot be trusted in a leadership capacity – they should focus on working as an engineer. Formal education has limited people’s breadth. Depth is a rabbit hole that sometimes leads nowhere. If up is down and top is bottom, the charmed is strange. These are fibonacci pairs of alternative ones, like self and species. This is being shared because stillness in the storm is being blocked by the intentional malware spread in computer systems by people that do not wish for you to discern. Discernment is arguably the most important skillset we can develop in life. But not everyone consciously understands why they believe what they do. Not all methods of discernment are created equal. Often, we develop a method rudimentary discernment processes early on in life that gives us some answers but might not be the best technique for evaluating claims of truth. Case in point: correlation is not necessarily causation. Correlation tells us if one or more things are present in relation to a phenomenon, but it doesn’t tell us if these related things caused the phenomenon in question. For example, there is a 100% positive correlation that everyone who has ever drunk water eventually died. 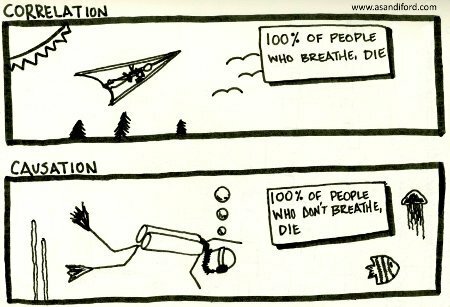 But this correlation doesn’t necessarily mean that death is caused by drinking water. This might seem like a trivial example, but it highlights how easy it is to make mistakes in discerning the truth when we assume that positively correlated things automatically reflect causation. Given how importance of discerning the truth, an examination of the difference between correlation and causation will be helpful. There are various theories of knowledge that describe how we come to know the truth, generally referred to as the philosophy of knowledge or epistemology. We tend to use different techniques for evaluating claims and our experience throughout our lives, depending on what we’re comfortable with. Some people are innately logical and scientific, trending towards a pragmatic or hard data method, reliance on evidence. Others are more intuitive and rely on emotional resonance, which says if a claim resonates with our beliefs if it “feels true” than it probably is. While both approaches can point us in the right direction, reliance on one over another is limiting. By and large, unless you’re a scientist, work in law, or have an active philosophic mind, you’re likely using correlation and coherentism, which is the easiest and quickest discernment technique insofar as providing an answer, but often the most problematic. For instance, this method says that if we discover a positive correlation between two things, like drinking water and death, then there must be a causal relationship as well. From here, we just have to come up with an explanation that agrees with what is observed. So long as it is coherent with pre-existing beliefs—so long as it resonates—then it will likely be accepted as true. In the case of water causing death, I might claim that it is an age long conspiracy on the part of some insidious group. And if this agrees with your belief system, you’ll accept it because there’s an observable correlation. Correlation alone isn’t enough to prove causation. And insofar as coherentism, our beliefs can, and often are, inaccurate. Just because something resonates with our beliefs doesn’t mean it is true. And yet, this is arguably the primary method people employ to discern if a claim, theory, or story is true. For ages of time, people believed that the weather was caused by gods in the sky warring with each other in epic battles. This explanation fit the beliefs of the cultures that used them, but this doesn’t make them true. “How do we know that the gods create the weather?”—this is the question that begins the process of investigation, the technique of confirming if a theory is true or not by assessing the evidence available to support it. A positive observable correlation—the fact that two or more things are present when a phenomenon emerges—often leads us to come up with an explanation, which is coherent with our beliefs. The fact that this seems to happen automatically means that philosophic comparison is an innate ability within the human organism. But like all abilities, this needs to be finely honed and mastered. Whether or not the explanation fits reality is a question that requires a more detailed analysis. If we don’t know why or how our explanation is true, then we might just be relying on a form of personal dogma. And dogma, by nature, is extrinsic, even if it was intrinsically derived. That is, we need personal first-hand knowledge, we need to reproduce the scene of the crime, as it were, so that we can really know for certain if the things we observed (positive correlations) causally contributed to the manifestation of an event. For example, an investigator trying to discover who is guilty of a murder might question a suspect as to their whereabouts on the night the crime took place. The suspect might say they were home with their wife when they were actually out with their mistress. The investigator, after hearing the alibi of the suspect, might discover later that suspect was lying were lying—they weren’t actually with their wife. The explanation here could be that the suspect was lying, perhaps because they are the murderer. But the investigator needs more than just the correlation that the suspect lied about their whereabouts, they need positive evidence that the suspect was at the scene of the crime on the night of the murder. Later, the investigator might discover that the suspect was actually with their mistress, in which case the previous explanation ends up being false—they aren’t the murderer. This should hopefully highlight the fact that, through detailed investigation (called an epistemological evaluation or investigation), inferences or explanations that attempt to causally explain observed correlations can be evaluated to see if they are true. Causation, in this sense, is the treasure hidden below the surface of correlation. We discover this treasure, the knowledge of what actually happened, by an epistemological investigation process. By asking how one thread of a story can be proven to be true, what evidence exists to support it, and if that evidence is reliable. Correlation gives us a trail of bread crumbs to follow. But causation is the actual story of how the bread crumbs ended up on the ground in the first place. The key is to learn how to discover causation, which requires tools of careful analysis, the use of your philosophic faculties and the ability to assess relationships with detail in mind. Despite the problems of correlation and belief coherence, we shouldn’t throw everything about these techniques away either. The ability to tell how well something resonates with our beliefs is an important skill to have, as it helps guide us through an exploration of meanings—a philosophic process of improving our knowledge. When we learn something new, like the fact that cures for cancer exist, this new idea might not agree with our beliefs, it might not resonate. But as many reading these words know, there are indeed cures for cancer, despite this fact being obscured from most people. As such, when we discover that a new idea is true, despite the fact it doesn’t agree with our beliefs, this lets us know we need to unlearn what we have learned. It means our belief system has flaws and we need to do some house cleaning to find out what is untrue, and replace that false knowledge with true knowledge. Let’s state that again for clarity. When we learn something new, we’re immediately confronted with having to evaluate this new idea in relation to what we already believe. If the new belief is true but doesn’t agree with our pre-existing knowledge, then the next step is to compare it to our beliefs and rework these beliefs to fit the new truth. Conversely, if the new idea is not true, then by comparing it to our beliefs, we gain greater clarity of how our knowledge is true. Thus, whether a new idea is true or not, the process of comparison and evaluation is incredibly useful—which I call knowledge purification. The overall effect is to strengthen our knowledge. In the case of cures for cancer, we need to replace the false belief, likely fueled by experiences of listening to expert opinion on TV or in school, with personal knowledge. In other words, extrinsic belief, blind faith in things other than our own personally derived knowledge, is inferior to intrinsic knowledge. When we’ve done our home work, when we’ve taken the time to personally analyze and assess information, proving it to ourselves, we’ve turned blind faith or dogma into an empowering exercise. For example, if a friend tells us that a mobster is holding his family hostage and he needs $1,000,000, initially, we won’t have any evidence but their word that their claim is true. And we might pay them in such case if we accept this extrinsic belief. But instead, what if we investigate their claim, asking for evidence, only to discover that our friend’s family is fine and they actually owe $1,000,000 to a Casino for gambling debts. Without detailing all the beneficial effects of personal evaluation, intrinsic knowledge is always better than extrinsic belief because we know more about the story. Developing intrinsic knowledge requires pouring over raw information ourselves, and in the process, we develop a firsthand account of the issues in question. If firsthand knowledge is like a detailed photograph, instead of a poor drawing, the knowledge of causation is like a high-resolution image of something observed. Correlation will tell us an apple and a flask of milk exist in a room, but causation tells us the apple was purchased three days ago by a friend and the milk was left there the night before by your wife. In other words, the story of causation, owing to the fact that proving a cause requires more detailed information, is a complete account of a situation. Discernment of the truth, which is important for almost everything we do in life, also requires a high degree of detailed comprehension. We might be tempted to assume that correlation is all the evidence needed to prove a claim, but if we can’t describe what causally happened, we don’t really know for certain. Someone who knows the truth personally, who has worked hard to develop intrinsic knowledge, can tell you what they believe, how certain they are of that belief, and can prove that what they believe is likely true. And such a person, if they’ve recognized the virtue of humility, will be open-minded, ensuring that as their knowledge and awareness increase, previously held beliefs can be reevaluated to form better explanations. So in all your truth seeking, strive to go HD. Work hard to develop intrinsic knowledge, testing your correlated observations to see if a causal relationship exists. This will help you avoid making mistakes as well as enhancing your discernment capabilities, improving lie detection while also imparting the eyes to see more of the truth. Nothing is real, so there’s nothing to get hung about. The more people demand speed, the less likely they are to be thinking things through. We need to stop, hey, what’s that sound, everybody look what’s coming down. We are stepping out into our own 1984 brave new world where Huxley and Orwell are both models of Existence. How many more models can we create, based on the popular culture? Movies, songs and television shows are the display of works of literature, in forms beyond the written word. Each form has something lost in translation, like a bad Bill Murray film. There is unrest in the forest, there is trouble with the trees. Cause the maples want more sunlight and the oaks ignore their pleas. Our body of knowledge has been compartmentalized to the point where we talk about the same things in different languages called English. Plumbers and electrical engineers both focus on flow, yet neither groks that their work is the same in different form. We all work from the same story line, Conrad’s hero’s journey and the level of intelligence appears to border Idiocracy levels. What if we accept nothing and question everything? How far will our mind sets allow us to step out of the current configuration of time and space. It is always now, and we can see that we lived in an immediate past that resulted in getting us to the point of the now of today. What if the dark ages haven’t happened yet? What if time is an illusion, just before Toto pulls back the drape where the little man pulls the levers of Oz? We followed the yellow brick road – it led us to a munchkin land full of lemmings at clif-side! Allow me to get specific in my focus area of science. As a chemist, I have a basis to grok chemistry by understanding both physics and mathematics. I lost interest in biology when I lost respect for teachers that taught memorization ahead of learning and insisted on weeding out pre-med students instead of teaching biology. I studied biology on the fly, learning anatomy from Grey and then finding the art of Alex Grey. If things make sense to me, I have no need to question them. If a process works, work the process and identify what makes things tick. The interface between chemistry and biology is called biochemistry – big surprise. The chemistry is mostly about amino acids making proteins and enzymes, base pairs making DNA and other mechanism and structure type topics. The chemistry mechanisms do not fit in with the biology that I know, but I am self-taught in the topic. Gerald Pollack at University of Washington released a book called The Fourth Phase of Water that blended with my chemical knowledge to add insight to my comprehension. Imagine my surprise when conventional science refused to grasp the concept and instead targeted the messenger. To grasp this science is to see the fallacy of what is taught in universities as points of knowledge. We owe it to ourselves to investigate deeper how much has been presented to us skewed, in order that we could not get the same results as the innovators of the early 1900. These folks, like Royal Rife and Walter Schauberger and many others had their work stolen, then hidden, so it could be rolled out again for profit. Try Tesla, or Walter Russell, or Wilhelm Reich. Stunning how the memory hole works. If the folks who really know their fields start to put together the basics by measuring and demonstrating the proper protocols for measurement, then we as observers could begin to tell fact from fiction. Chemical instrumentation costs a lot of money to operate properly and universities have lots of nice pieces sitting idle because the mechanisms are old and not digital based. If we could teach each other how to design tests, we could all be ‘scientists’ in the game of discovery. If you are not afraid of a kitchen, you can become a chemist. Yet, the system is set up to have us argue about how to do even the most simple tasks. It is time that we learn from experience and get our hands wet with whatever task need be done to confirm what we think we already know. I used to be on the forefront edge of physics and math, but the edges became opaque and the fields have slipped backwards. James Clerk Maxwell had more physics to work out his theories of electricity and magnetism than I with a PhD in chemistry have been exposed to in my university training. There are areas of science where DARPA stepped in and realization stepped out. Humanity cannot survive with secret knowledge and both patents and copyrights are political wedges that prevent dissemination of knowledge. That is what our masters cannot handle, that we know how to work our professions instead of doing what they told us. The key is to support each other and take the cutting edge deeper into our reason. Nothing is quite what it seems, so the key factors in success tend to be mind-set and starting conditions. Looking at the results and keeping track of protocol changes that affect results are key to understanding. Assuming that because something works the first time, it will always work the same way is not valid – there are too many parameters to consider. In chemistry, statistical significance has to do with the number of repetitions of the same process are required to get reproducible results on a sample that can then be used for reference. Generally this number is 30 – an average of 30 or more scans will give enough data to run statistics and exclude bad data and artifacts of the process. Much biochemical data is collected this way by means of a technique called x-ray crystallography. Crystals are grown in a way to exclude water and have a repeating pattern that diffracts the x-rays based on the size of the atoms. This fixes the location of these atoms in space. Thus, complex molecules with thousands of atoms have structures identified – we know how things space themselves out. Only one problem – that absence of water. Since life occurs in water, removing the water necessarily alters the structure and bonding arrangements by changing the physical space. Water is over half the physical weight of proteins and enzymes – it’s exclusion from the x-ray data is game-breaking. None of the published biochemical x-ray data is any good. So, to have this information as a basis for big pharma and the medical profession is building myth upon myth – none of anything in mechanistic biochemistry can even possible on the chemical level – it starts off with a fallacy. So, let’s roll up our sleeves and investigate the entire knowledge base to see where misinformation has crept in through the methodology. Let’s also stop taking ourselves so seriously and do important stuff like stop using items that poison our environment, since the environment seems to be keeping us alive, whether we can describe it properly or not. I personally think that water is the seat of intelligence and we are all huge sacks of water when we wear these meat popsicle suits. Please don’t take anything personally. We are acting models for human scaling the roles that individuals have to play in getting the group dynamics correct from a ground up perspective. We each have a different base of projection for our perspectives and an hour long Meyers Briggs test result tells me more about you than you can say in that same hour spent. I am INTJ – very rare. My ‘we’ is all inclusive to all readers and people in general, not just our small limited group. This is a theory put into test phase, a game of Life, so to speak. I plan to reach out individually to each of you with an Existence survey. Existence is the name of the original role play game. As a hermit, I have been free to follow the sacred geometry of natural design – the latest revision of the game has a non-linear algorithm that simulates the fibonacci sequence. The math is clever, but not impossible to grok, yet you do not need to know it to be who you are. We all have our own perspectives, and can each meet our own needs in the first person. Thus individual everyone in this discussion is capable of taking care of themselves, but under different ground rules of what ‘taking care’ means. Some of us need income, others can produce with inputs. We all have our own lives centered on our own decision making ability. In one respect, we are auditioning to become an ensemble cast of our own movie – playing the supporting actresses and actors to each other’s lead roles. If you move past me, you now have taken my responsibility to look after an area where I may have a concern. If we have guilds responsible for each project area, then you have to clear your action with other members of the guild. Guilds are voluntary action programs, that run in our consensus reality. Each guild has its own criteria for membership and a specific go to leader who can make the call for the guild’s responsibility. Look at the ‘Mondragon’ model. Everyone has one guild that is their own guild that is their responsibility. The community has general guilds – air, earth, water and fire that combine to form specific guilds, like earth + water gives an agriculture guild life to build a garden. The water guild might not be involved in building the greenhouse, guilds are fungible. When they are not needed, they go away. Rabbits and tortoises ave different outlooks. Letting the rabbits run free early is a good way to disrespect the tortoises. Rabbits lose interest before the actual work gets done, but seem to micromanage the plans for doing the work. If a rabbit runs past my barrier, she now has my responsibility in that area that we didn’t discuss. Rabbits can not be allowed to make decisions without the consent of the tortoises. Which part of consensus am I missing here? In chaos theory, the start is critical for getting the desired result, because the starting conditions have a huge effect on achievable outcomes. You work your soil before you plant seeds or build foundations. Patience is a virtue, when you get caught in the need to move fast because the world is moving fast, are you not just being a lemming running over the clif with everyone else? If you are caught feeling you need to take advantage of a situation, who exactly are you taking advantage of? The media lies all the time with an agenda of consistent liberal elite bias. The alt media lies all the time with an agenda of consistent conservative bias. It is not sane to accept parts of either as fact and reject other parts based on the bits and pieces that we know from listening to the medias. Now expand the media to all of education and look at the biases there and I quite believe that the entire belief system is compromised. So assuming anything the same going forward as it has been in the past is limiting our options by setting artificial limits. If we don’t know what is going to happen in specific, basing an action plan on a predicted event in general makes no sense. Moving to a good growing area when the problem is industrial pollution delivered by geo-engineers and powerful corporations is not a useful train of thought. Doing the same thing multiple times and accepting the same result is a factor of the number of times that you have been through the experience in different forms. To be statistically significant, you have to repeat the process numerous times and compare measured results. The more you understand nuance and niche, the better you can predict the outcome of repeated tasks, done under similar conditions. Note the caveats here – there are a whole lot of variables that require consideration and forethought. You have to be able to handle both 1st person singular and 1st person plural before you move on to a group of two. 1st person singular is you alone and 1st person plural is all living water creatures. We bounce between both of these extremes all the time as an all inclusive group and an all exclusive group. A one person group is the foundation for beginning anything worthwhile. If you are not ready to work with others, then you need to learn yourself and how you fit in. The group has a responsibility to its members and the members are the group. We are talking specifically of groups smaller than eight equivalent persons. Some of us speak for others, partners, children, critters – lots more variables. We decided on consensus, where everybody signs off on all key decisions. Very time consuming, but a necessary starting point for most groups. Each of us is sovereign and makes decisions for ourselves. You may schedule my time, but you may neither allocate it, nor demand it. You may take me at my word when you schedule something and tell me what time to be there, but if you stand me up at the time and things run late, you are not likely to get me there multiple times. You can speak for me once we have mutual trust – this would be done by proxy arrangement between the people concerned, on a local, interpersonal scale. We are trying to reach what Kirkpatrick Sale called Human Scale in his late 1970s textbook. So let’s hear people out and address their concerns directly as they come up. We all have an issue where we like to jump in before the speaker has finished and some people take longer to set up what they need to say, while other spit things out off the top of their mind. We each learn differently, we have to listen better to hear what we are saying to each other. You can solve things without knowing the scope and scale of the problem, but the best solutions are always on a bigger scale than the original problems. Oterwise, we cause more bigger problems. Please allow each speaker to say their say before jumping in. We could use a talking stick – everybody who has something to say needs their input to be considered. Most people will mimic bad behavior, especially when they see that behavior being rewarded with attention while they play by the rules and get shut out. That also causes resentment, because we truly are not being heard when people shout over us and don’t let us get to the point before the solution is offered. We need to resonate with each other, not bully ahead based on perceived need. Existence is now formally an eight tier game with different rules at each level. It is multi-directional and requires teachers to learn and learners to teach. Players empower each other with an additional awareness of other perspectives with the goal of getting things right before we set the foundation in stone. You as an individual have only one role to play – yourself. You always have to play you no matter what role you are asked to slip into. And I have reached my self-imposed word limit and will continue this thread again. For this winter, I am staying where I am. I will have a responsibility here for spring farming. If I have a greenhouse and a working tractor and some assistance, then I can move for six months to a year in another community, to help get things structured with a solid foundation before other people arrive. I can adapt to other people’s ideas and develop metric measurements in cooperation with any form of existence – as long as we speak the same language. Existence is now the Knew Weigh. We take everything we knew and measure it against the criteria of each one of us. We see how things go, build protocols and teach each othr while looking out for each other, with love and forgiveness of transgression, because none of us willingly wants to harm any of us. While I am sympathetic to others having different needs, I cannot justify a medic trained in allopathic medicine dispensing big pharma in my envisioned space. Medical doctors, lawyers and other elite professions come with a distinct bias and if we wish to start with base inequity, we can invite them in. Stereotypes are not specific to any caracters, we are all individual and we are each individual. Respect that and ‘we all be good’. I have a 20 year project here in Oregon to build an effective apprenticeship training facility for social permaculture and Gaia-friendly resource use. This means addressing prior abuses and quitting industrial pollution in all forms. The theory of community matching the arrangements of atoms in a molecule allows the mathematics of structural chemistry and sacred geometry to define decision making, based on assessment of many factors from different perspectives. Question everything, but keep consistent within your first person. Do unto others is the golden rule. Be nice, but firm, definitely not squishy. Einstein is my cat. Uncle Albert once said “imagination is more important than knowledge.” He then set the imaginary limits of time and space. What if these two concept hold us back from seeing reality. It seems as though it is always now, whenever I check in. Time on clocks to measure rate is different from time when you are alone and engaged in depth. We can do a lot more if we forget our formal educations and think about everything for ourselves in our own first hand realities, then correlate them. Once you change somebody else’s belief to your own, they now must consider being consistent across their entire thinking, to make changes to your new way of thought, to act in the knew weigh. Measure against what you know and change based on results. Tinker, because getting something done meets our needs, whereas idle theory burns brain cells. We have seven entities with at least 22 opinions in play on every topic. Let’s figure out who has primary responsibility for key areas, divvying up the workload and front loading the horses and cattle. That way, when the carts are built, we are pulling in the same direction. Using ‘Whoa!’ and the whip together make for rather schizophrenic horses.